I'm now in the second hundred page batch of my story. There isn't that much to change in this hundred page increment, except for a little trimming, elimination, some sentence-level editing and incorporating new elements. In my last post, I mentioned that I have some new characters. They are definitely inspired by the research I've done, specifically into the lifestyle in Barbados in the late 1790s and the experiences slaves and free blacks went through then. 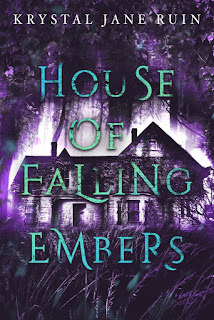 Their plots are subplots, but they are important subplots and really do feed into the main story line in a much better way than a particular story line that I'll be cutting down in this draft. Namely, an affair takes place that my beta didn't think fit with the rest of the story. I agreed. I'm going to keep the mistress character, but her part will be curtailed. Pearl is Delphine Keegan's ladies' maid. But after Delphine dies, Pearl is freed, but chooses to go to England with the family, working as the nanny. Why? Because Pearl's brother was kidnapped years ago--that is, as a slave, he was sold--to a British naval officer and the most convenient place to trace her brother is in England. To be honest, I'm not sure where Pearl came from, other than Delphine requiring a body servant and Pearl having a major role in the first few chapters. But instead of the nanny the girls had in drafts one and two, who didn't even figure as a real character, it felt right to have Pearl be the nanny while on a mission in her new country. Character compression and a demonstration of events real people went through at the time. One of the most famous black men in England in the late eighteenth century was a man named Olaudah Equiano, also called Gustavus Vassa. 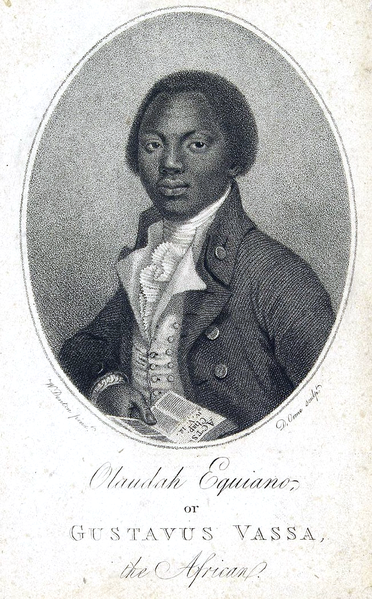 Equiano published his autobiography The Interesting Narrative of the Life of Olaudah Equiano in 1789 and it became a bestseller in Great Britain. Equiano wrote about his kidnapping by slave traders from his home in Africa, sailing across the Middle Passage to Barbados, then Virginia. He was then bought by a British naval officer, Captain Pascal, with whom Equiano fought in the Seven Years' War. Pascal sold him to another naval officer, who sold him to a Quaker merchant. Equiano bought his freedom and then moved to England, where the Somerset Case had made England a safer choice for free blacks than America. In England, Equiano became an important part of the abolitionist movement, providing evidence, informing the leaders of the movement of poor blacks in need, writing pamphlets and articles and ultimately, his autobiography. Pearl's brother is not actually based on Olaudah Equiano, but he is definitely inspired by the early events of Equiano's life. Then there's Nathaniel Taylor. Nathaniel is an infant and it is his mother's escape from the Keegan family's plantation in Barbados that kicks off the story. Nathaniel's father is a neighboring planter and the planter wants Miles to be the boy's trustee. I read about many cases where a planter had an illegitimate child with a slave or a freed black woman and the child's outcome could be any number of things. Sometimes, the kid grew up to inherit money, slaves, and land from the father. Other times, the kid was sent to England to be educated. Sometimes, the child was ignored completely. In more than a few cases, after the father died, the child's inheritance--if the father provided anything in his will--would be disputed because of the child's illegitimacy. I've read that many historical fiction writers get their plots from the events they're researching and even their characters, too. Now, while plot choices in this book have been tweaked based on research, the characters didn't necessarily come out of the time period. But these two minor characters are directly influenced by the research and for that, I'm pleased.